The Brazilian Air Force has released formerly classified information related to UFO research dating back to the 1980s. The newly released information tracks an incident that occurred in Brazil in 1986 when around 20 UFOs were sighted by numerous airplanes and by ground radar. 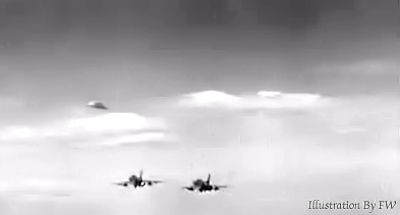 According to the reports, the UFOs were sighted by at least six airplanes and by ground radar on the night of May 19, 1986, flying over several states in the south east of Brazil (1). Unidentified radar returns were tracked by the Integrated Air Defense and Air Traffic Control Center in Brasilia, as well as by Sao Paulo Airport.